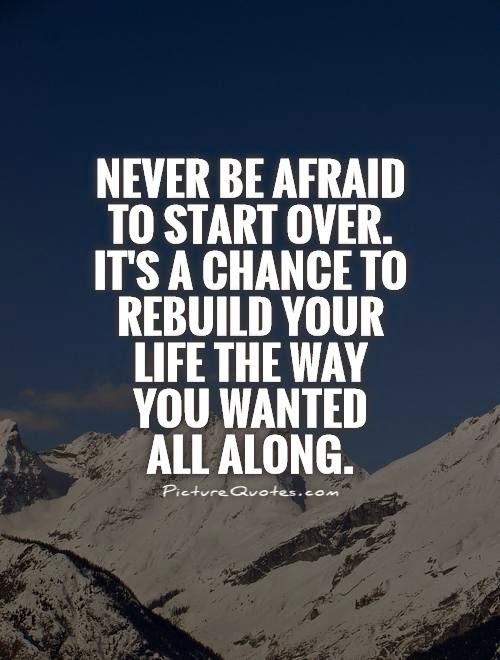 W1/2K15: DARE to Begin Again! Today, I start a new phase of my life and I’m thrilled…thrilled first at the idea that at any point in the living experience a decision can be made to start something new…to start again, to rebuild, to redesign, to have a “life mulligan” (like a golf do over)…to “begin again.” I love the freshness and energizing effect of a clean slate and the idea that I can give myself one at any point. I choose now! So can you. This week marks the beginning of the MKMMA Mastermind program which I’ve participated in off and on the last couple of years. One of our requirements is to read the scrolls in the book, The Greatest Salesman in the World, daily — actually multiple times daily. Scroll Marked 1 begins with these words, “Today I begin a new life.” How really cool is that idea? Can you see the benefits of beginning a new life or some aspect of your life? The way I see it, everyday above ground provides us an opportunity to do better, think better, be better…new, fresh, exciting opportunities to grow. There is value in simply embracing the idea of beginning something new and I trust you can see it. Think about your life for a minute…what aspect of your current living experience would you like to inject something new or completely start over (with the benefit of the lessons learned to date)? What would your ideal look like? One more thing…one of my favorite passages in this first reading is “I will commence my journey unencumbered with either the weight of unnecessary knowledge or the handicap of meaningless experience.” Wow…do you get the point here? With so very many potential distractions around us — some really good options — consider constructing barriers to wasted energy based on your new life goal(s) by ignoring or avoiding investing in unnecessary knowledge and meaningless experiences. Say no to some good things so you’ll have the bandwidth to say yes to some great things! Ok, enough for now…I have some rebuilding to do. Until next time and always…keep believing!! Tags: Begin, boundaries, Celeste Jonson, courage, DARE to Succeed, Start Over | Permalink.